Due to profitability factors and challenges with the Affordable Care Act, some insurance carriers have decided to exit the individual medical market in certain states. If you have been notified that your health insurance policy will be affected and will terminate, then you must enroll in new health insurance coverage during the next Open Enrollment period, which runs from November 1, 2016 through January 31, 2017. Starting November 1st, 2016 new health insurance plans for 2017 will be available on the private and public exchanges, including the members health insurance exchange available through this site. Delaware, Innovation Health in Virginia HealthCare.gov Exchange Members will receive a letter by November 1st (Virginia members by October 1st). 2016 plans will be automatically renewed for 2017. Delaware, Maine, New Jersey, Tennessee, West Virginia, Innovation Health in Virginia Private Insurance No-Subsidy Exchange Members will receive a letter by November 1st (Virginia members by October 1st). 2016 plans will be automatically renewed for 2017. Iowa, Nebraska, Virginia HealthCare.gov Exchange Members will receive a letter by October 1st. 2016 plans will be discontinued, but the member will be automatically re-enrolled into a similar plan for 2017. Iowa, Nebraska, Virginia Private Insurance No-Subsidy Exchange Members will receive a letter by October 1st. 2016 plans will be discontinued, but the member will be automatically re-enrolled into a similar plan for 2017. Arizona, Florida, Georgia, Iowa, Illinois, Kentucky, Missouri, North Carolina, Nebraska, Ohio, Pennsylvania, South Carolina, Texas, Virginia, and Innovation Health in Virginia HealthCare.gov Exchange Members will receive a letter by October 1st. 2016 plans will be discontinued, and the member will have to shop for other 2017 coverage. Arkansas, Connecticut, Iowa, Florida, Georgia, Illinois, Kansas, Kentucky, Louisiana, Michigan, Missouri, North Carolina, Nebraska, New Jersey, Nevada, Ohio, Pennsylvania, South Carolina, Texas, Utah, Virginia, and Innovation Health in Virginia Private Insurance No-Subsidy Exchange Members will receive a letter by October 1st. 2016 plans will be discontinued, and the member will have to shop for other 2017 coverage. Virginia HealthCare.gov Exchange Members will receive a letter by November 1st (Virginia members by October 1st). 2016 plans will be automatically renewed for 2017. Virginia Private Insurance No-Subsidy Exchange Members will receive a letter by November 1st (Virginia members by October 1st). 2016 plans will be automatically renewed for 2017. Virginia HealthCare.gov Exchange Members will receive a letter by October 1st. 2016 plans will be discontinued, and the member will have to shop for other 2017 coverage. Virginia Private Insurance No-Subsidy Exchange Members will receive a letter by October 1st. 2016 plans will be discontinued, and the member will have to shop for other 2017 coverage. Nevada, Virginia, and New York HealthCare.gov Exchange Members will have their plans auto-renewed. Due to the plans being on-exchange, the member will need to make sure all of their corresponding tax and subsidy information is up-to-date. Indiana, Iowa, Kansas, Kentucky, Louisiana, Maine, Maryland, Massachusetts, Michigan, Minnesota, Mississippi, Missouri, Montana, Nebraska, New Hampshire, New Jersey, New Mexico, North Carolina, North Dakota, Ohio, Oklahoma, Oregon, Pennsylvania,Rhode Island, South Carolina, South Dakota, Tennessee, Texas, Utah, Vermont, Washington, West Virginia, Wisconsin, Wyoming, HealthCare.gov Exchange Members will need to find a different plan, as their UnitedHealthcare plan will be discontinued, with the last day of coverage being December 31st, 2016. Starting November 1st, please call 1-877-267-3752 or visit http://www.realtorsinsurancemarketplace.com/products/member-health-insurance-exchange/ to shop your private/public exchanges for a new health insurance plan. Utah and New Jersey Private Insurance No-Subsidy Exchange Members will have their plans auto-renewed. Indiana, Iowa, Kansas, Kentucky, Louisiana, Maine, Maryland, Massachusetts, Michigan, Minnesota, Mississippi, Missouri, Montana, Nebraska, Nevada, New Hampshire, New Mexico, New York, North Carolina, North Dakota, Ohio, Oklahoma, Oregon, Pennsylvania,Rhode Island, South Carolina, South Dakota, Tennessee, Texas, Vermont, Virginia, Washington, West Virginia, Wisconsin, Wyoming Private Insurance No-Subsidy Exchange Members will need to find a different plan, as their UnitedHealthcare plan will be discontinued, with the last day of coverage being December 31st, 2016. Starting November 1st, please call 1-877-267-3752 or visit http://www.realtorsinsurancemarketplace.com/products/member-health-insurance-exchange/ to shop your private/public exchanges for a new health insurance plan. If you have an Oscar health plan, and you are in New Jersey, you must find new coverage. 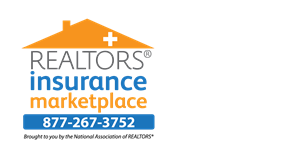 Starting November 1st, please call 1-877-267-3752 or visit http://www.realtorsinsurancemarketplace.com/products/member-health-insurance-exchange/ to shop your private/public exchanges for a new health insurance plan.